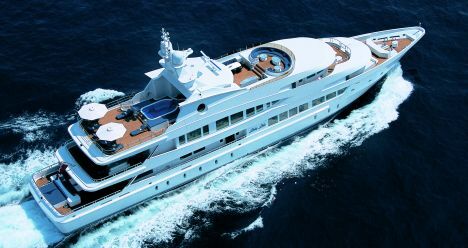 RINA, is undergoing continuous changes in support of yachting. Among the novelties, one which we consider worth mentioning, concerns privately owned ships in need of modernizing, refitting, and reclassification into the Charter Class. The recent ruling, which as of the past couple of years allows charter ships to be enlisted in a special registry for commercial shipping purposes, represents a big plus for charter ship owners who wish to redeem expenses. Now ship owners can restructure the look of their ship and technically update it thereby enhancing the ship's worth specially on selling it and amortize such costs too. This may occur providing one is registered in the exceedingly sought after Charter Class whereby ships, which are closer in concept and dimension to a cruising ship, are classified. This means that rules that regulate privately owned super yachts become, pretty automatically, similar to shipping norms. Not so long ago, who ever wanted to change their ship's class had to turn to foreign institutions, now, thanks to RINA's Charter Class it's possible to do it also in Italy. Let's see, though, what might induce a ship owner to change class. The first consideration is that an owner of a vintage or simply of an old pleasure yachting ship will sooner or later have to refit her technically or restyle her. It's obvious that today such restructuring work must be carried out according to set specifications on safety and that the work carried out costs in proportion to its amount. At this point, the ship owner is faced with the possibility of taking advantage of the opportunity given him. By carrying out a few improvements more on the technical systems and lodgings such as on: the cooling and heating system, the height of the ceilings and ventilator fans, fire escape hatches, height of the bulwarks, the positioning of the ship's lights, number and shape of the scuppers, the pleasure yachting ship may become a commercial ship and therefore be used for international charters. This is made even easier if the pleasure ship is classed as a "short range" ship which means that it is allowed to cruise within 70-90 miles from the nearest safe port. The shipyard performing the work and the institute which certifies it, RINA in this case, work in close contact and guarantee that the work done complies to the prescriptions of law thus enabling the ship to be registered in the Charter Class. A ship in such class may not only work and therefore generate an income but is also entitled to considerable tax relief to such an extent as to justify a more costly restructuring. Vintage ships, may certainly require heavier work but at the same time they are subject to exemptions due to the fact that a certain type of technical work cannot objectively be carried out on ships of a certain age. One must not forget either that the class makes the ship safer under every point of view, in as much as the work done on it, is certified and recognized internationally. To have a ship in this class may also lead to economic advantages when insuring and selling it since the class represents in itself a plus in terms of guaranteeing quality and maintenance. One of the more controversial topics on the subject matter has to do with the use of materials. The market asks for innovative solutions to adapt to new tastes and the shipyards doing the refitting are obliged to seek new materials to satisfy esthetical standards guaranteeing at the same time the Class's specifications. In this case too, RINA's experience in shipping is precious. Its registry in fact lists those materials which correspond to the specifications thanks to which RINA can help the shipyards select them and even dare using advanced characteristics in creating new yachts. All the more so when the modern conception of such units resembles more and more those of a cruising liner. 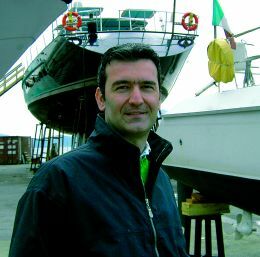 Since the decree has become effective in Italy, a lot of existing ships have been transformed into Charter Class in greater numbers even than new ones. The fundamental difference between RINA Charter Class and the MCA is that in building or reclassifying a ship over 350 tons, the MCA foresees only the "long range" classification. In Italy a shipyard may choose whether to apply the long range status or so as not to make the ship's renewal project heavier, opt for the short range status according to the ship owner's wishes taking into consideration the obvious structural and economical advantages.